How to go to Buyukada? What to eat in Buyukada? Where to go in Buyukada? What to do in Buyukada? What to buy in Buyukada? 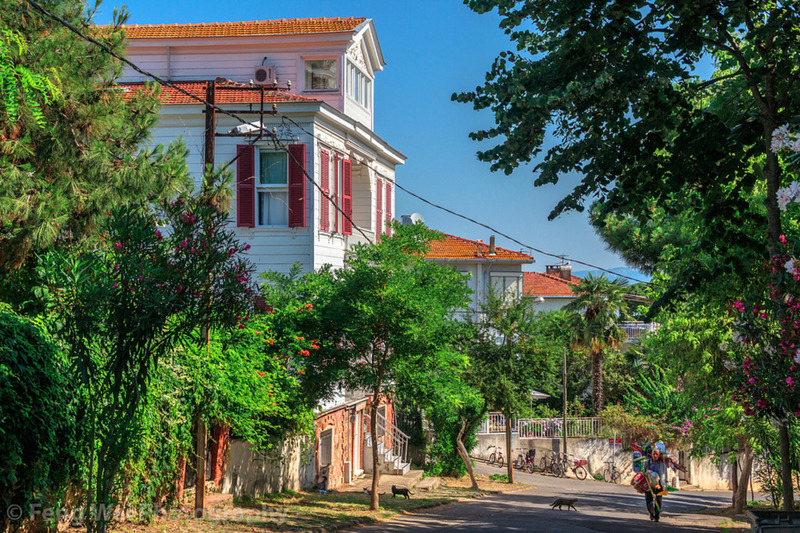 Büyükada; The largest and most popular one in İstanbul is Büyükada (the Great Island). Large wooden mansions still remain from the 19th century when wealthy Greek and Armenian bankers built them as a holiday villas. The island has always been a place predominantly inhabited by minorities. Buyukada has long had a history of people coming here in exile or retreat; its most famous guest being Leon Trotsky, who stayed for four years writing ‘The History of the Russian Revolution’. The monastery of St George also played host to the granddaughter of Empress Irene, and the royal princess Zoe, in 1012. The island consists of two hills, both surmounted by monasteries, with a valley between. Motor vehicles are banned, so getting around the island can be done by graceful horse and carriage, leaving from the main square off Isa Celebi Sokak. Bicycles can also be hired. The southern hill, Yule Tepe, is the quieter of the two and also home of St George’s Monastery. It consists of a series of chapels on three levels, the site of which is a building dating back to the 12th century. In Byzantine times it was used as an asylum, with iron rings on the church floors used to restrain patients. On the northern hill is the monastery İsa Tepe, a 19th century house. The entire island is lively and colourful, with many restaurants, hotels, tea houses and shops. There are very big well-kept houses, trim gardens, and pine groves, as well as plenty of beach and picnic areas.